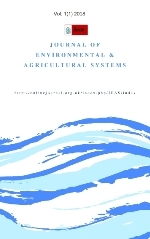 The Journal of Environmental & Agricultural Systems is a peer reviewed open access journal devoted to advancement of science in the field of agriculture and environmental sciences. It publishes original research articles, review articles, research notes and generral articles on all aspects of environmental, agricultural research and life sciences. The journal is published quarterly (4 times a year; March, June, September, December). The accepted articles after peer review are made available online immediately after the final proofread by the author. The journal doesn’t charge authors any fee for either article processing or publishing.